The following are links to Texas state agencies that relate to our agency and are provided for your convenience. 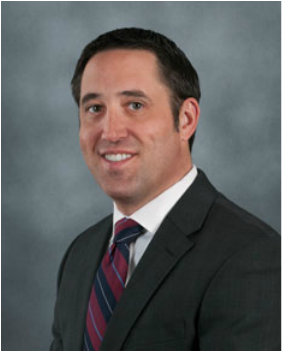 Elected in November 2014, Texas Comptroller Glenn Hegar is a vigilant steward of Texas tax dollars and a strong advocate for job growth in our economy. As a staunch supporter of government transparency, Hegar believes all levels of government should be open and accountable to those who pay the bills — Texas taxpayers. The Property Tax Assistance Division (PTAD) conducts and publishes a property value study (PVS), of all school districts and county appraisal districts. The study determines the value on which Texas school districts receive funding from the state and is very important to maintaining an equitable school finance system. PTAD also conducts the Methods and Assistance Program (MAP) to review the governance, taxpayer assistance, operating procedures and appraisal standards, procedures and methodology of each county appraisal district every two years. PTAD administers statewide binding arbitration for property owners who qualify for arbitration. It also provides training for newly appointed appraisal review board (ARB) members, as well as annual continuing education training for existing ARB members. PTAD provides information on property tax issues to taxpayers, property owners, appraisal districts, appraisal review boards, taxing units, other state agencies, and the Legislature. By state law, however, neither PTAD nor the Comptroller's office have any direct jurisdiction over county appraisal districts or appraisal review boards and can only act in a technical assistance role. *All information accessed and obtained from the official agency website. Any material displayed or written above is owned & authored by this agency and is current as of March 15, 2013. 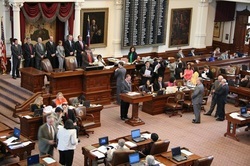 The Texas Legislature, comprised of the Governor, the House of Representatives, the Senate, Committees and Sub-Committees, pass laws that affect our agency, as well as all Texas residents.Collectively, the Texas Legislature creates laws that govern our office in many different ways. The Texas State Comptroller's Office is responsible for enforcing those laws. Laws are always changing to reflect the ideals of the current people the state of Texas represents. To find out what's happening within the Texas Legislature that may affect you, visit their website. Contact your Texas State Representatives or Texas State Senators to discuss laws that may be working through the Legislature. Not sure who your representatives are? Not a problem. Click on the link below to visit the "Who Represents Me" page, available on the Texas Legislature Online website. All licensed appraisers of the Brazoria County Appraisal District are licensed through the Texas Department of Licensing and Regulation and participate in continuing education (CEs) courses. *all information accessed and obtained from the official TDLR website and is property of the Texas Department of Licensing and Regulation. Information is current as of March 15, 2013. To be the leader in public service, customer satisfaction, and innovation. The mission of the Texas Department of Licensing and Regulation is to honor the trust of all Texans, ensure public safety and consumer protection, and provide a fair and efficient regulatory environment. Value the dignity and worth of our customers and employees. *all information accessed and obtained from the official Texas.gov website and is property of the State of Texas. Information is current as of March 15, 2013.